Time to send out Thanksgiving dinner invitations! 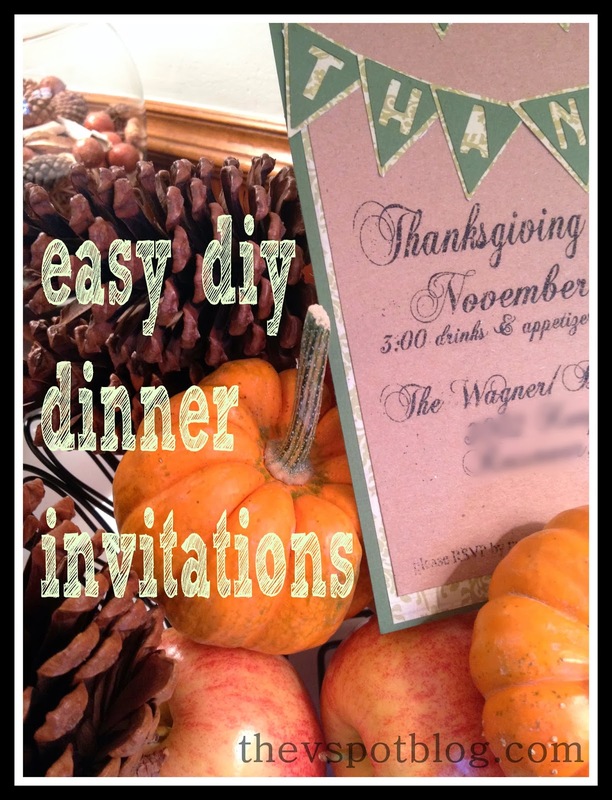 If you’re looking for DIY dinner invitation ideas, this is a super easy one. Sorry! Soooooo irritated about my camera problems. paper cutter or ruler and exacto knife. 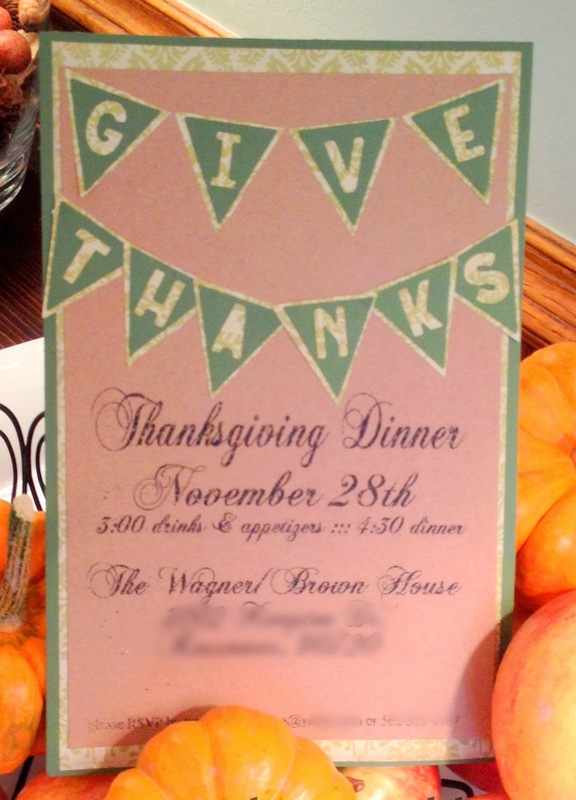 It’s really easy to create the text for your invitation just by using a basic word document, or by uploading a photo to an editing site (like ipiccy.com) and using their text and graphics. Print out on cardstock and cut to size so that it can be centered on your base. It doesn’t have to to be perfect. 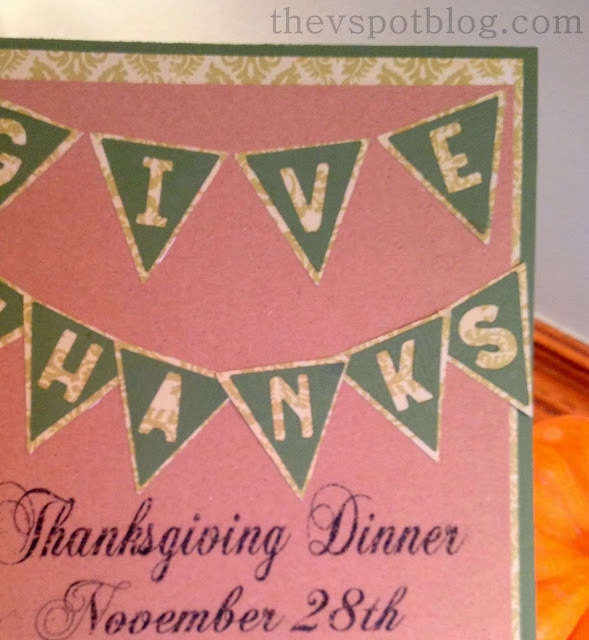 To create the pennant/bunting I used my Cricut Mini and scraps of the cardstock papers. If you don’t have a Cricut, you could simply use scissors to cut out the little triangles. I would do two slightly different sizes for the two different papers. Again, if you’re cutting them by hand, you could then hand-write the “give thanks”. Use a glue stick to adhere the two different triangles together. Position them where you want them on your invitation then stick them in place using the double sided tape. Since I only need to make about 10 invitations, it is pretty simple and quick, whether you have a Cricut or not. I thought about adding some baker’s twine or ribbon, but in the end was a tad too lazy to do it. However, it would be super cute. Do you host Thanksgiving dinner? Do you send out invitations?